The winner of 70 major theatre awards and the longest running Broadway musical ever, The Phantom of the Opera is the musical that all other musicals are measured against. An altogether more sinister and visceral tale that explores the darker side of human nature, this timeless story and unforgettable score tells the story of an undeniable obsession that could never die. Love and obsession are pitted against each other in this brooding Lloyd Webber musical also set in an era of honour and decorum, that comes to a dramatic finale. 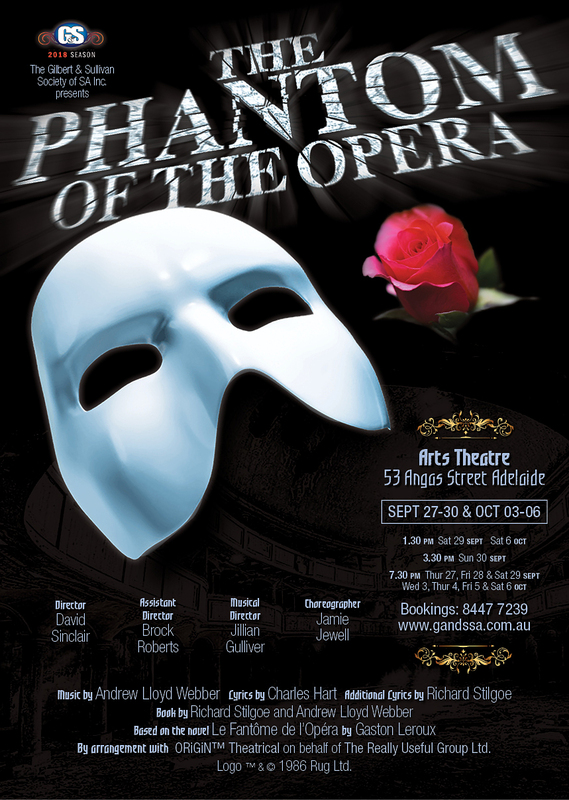 Under David Sinclair’s talented direction, with Jillian Gulliver as Musical Director, the Society’s production of The Phantom of the Opera will doubtless be a visually compelling spectacle. With songs like Music of the Night, Think of Me, All I Ask Of You and Masquerade you do not want to miss The Phantom of the Opera. It will be an unforgettable night at the theatre for the whole family.